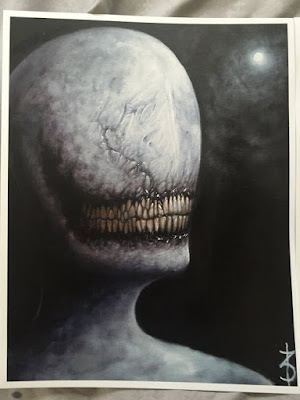 I can't stop looking at these horror paintings by Zack Dunn on Etsy. They are so freaky and sinister, it's hard to take your eyes off. 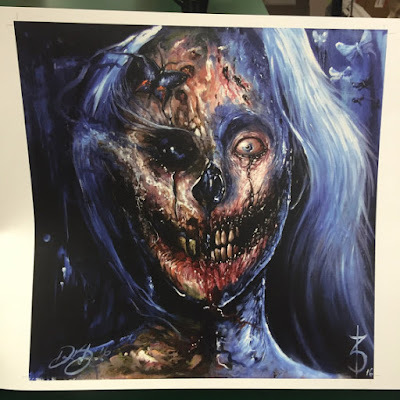 Honestly, most of these prints are affordable and would definitely terrify your guests for Halloween. Or if you just like disturbing photos on your walls, these will fulfill that strange need! 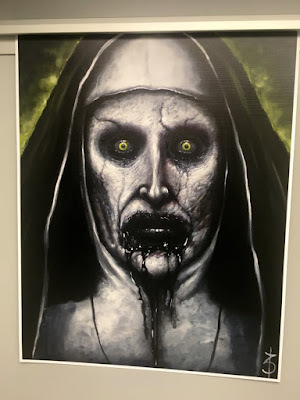 Nuns are already creepy, but this Valak print is EXTRA creepy. Giving up all pleasures in life would definitely make me lose my mind. Is this nun possessed by demons? The mysterious black liquid coming from her mouth looks malevolent. This is what nightmares are made of. The creature in Slit the oil painting is the stuff of nightmares. 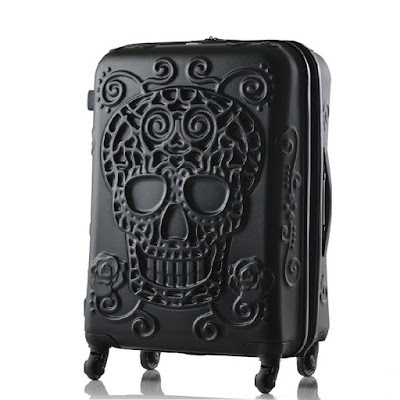 Or I can see this being a monster from Silent Hill. I keep getting chills down my spine every time I see that lacerated grin. That wicked smile is so eerie, especially since it looks like they died that way. 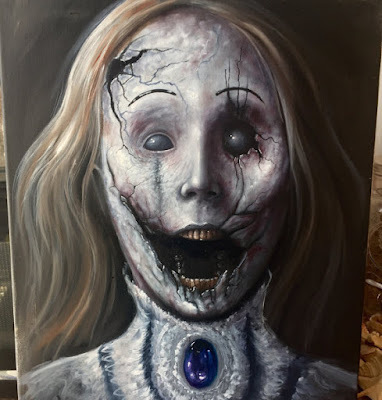 The Frostbite painting pretty much depicts exactly that, but she's oddly happy about it. It doesn't look like a pleasant experience judging by her burnt skin. This is a pricey piece of art. The Bullet Hole painting would be so freaky if displayed on a wall. It shows such a disturbed demon stretched in terrible ways. The only semblance of a bullet is in his forehead, but is that really the spotlight of the piece? I think this Pediophobia scares me the most. Is that really a surprise though? This portrays exactly why dolls make me uncomfortable. The dichotomy of being "full of life" and knowing they are lifeless just bother the crap out of me. I never know what to expect! The frightened expression on the doll's face scares me even more! How does that happen?! Phew, I can handle this Faoladh print. Though, the thought of encountering a werewolf is awful. 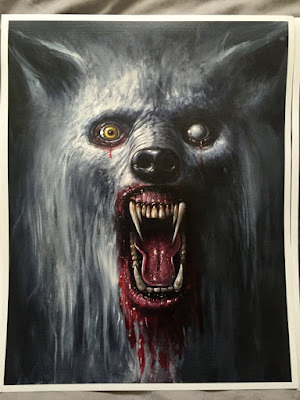 This painting really captures the werewolf's insatiable appetite and feral eyes. 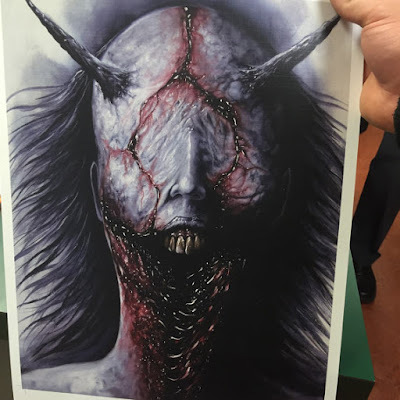 The Bone Chiller art is indeed bone chilling. I have a moment of paralysis every time I even glance at this painting. Even though this tortured spirit looks like it is missing its eyes, it looks like it is staring deviously at me! This is an interesting interpretation of Oshiroibaba. This demonic hag is from Japanese mythology. She tricks young women to buy white powder to make them look prettier. Instead, their skin burns off and Oshiroibaba uses it for her own needs. I wouldn't buy anything if a demon like this approached me. The only thing I would do is run! 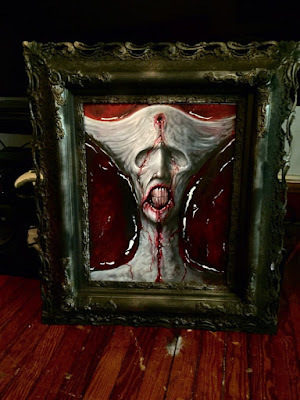 The names of these paintings make them extra creepy! 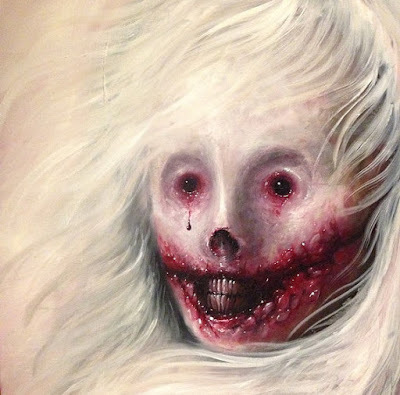 This Toothfairy painting is something your kids would probably want to never see! It's even more grotesque that all the teeth are overlapping each other. 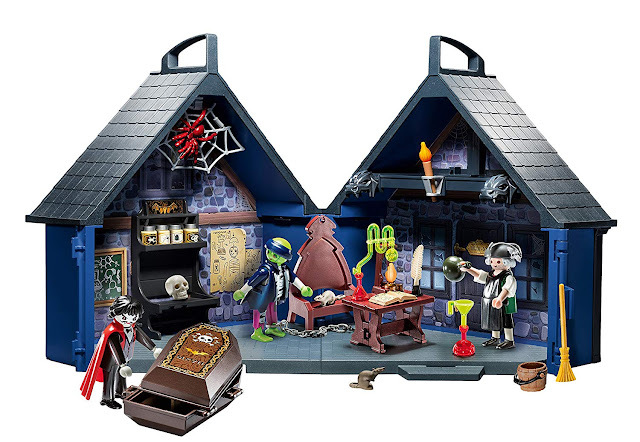 I have no idea how I would place any of these in my house. Maybe you have some ideas? Most of these are terrifying. 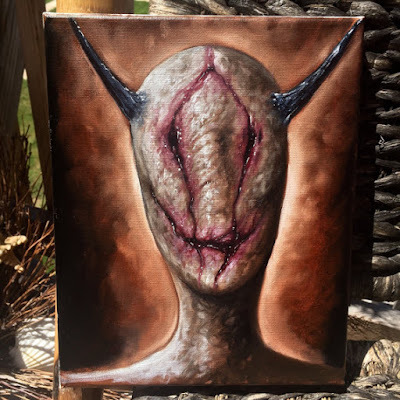 Tell me what you think of these horror paintings by Zack Dunn on Etsy. Are you brave enough to have them out all year long?